Manxgirl living and crafting down under. 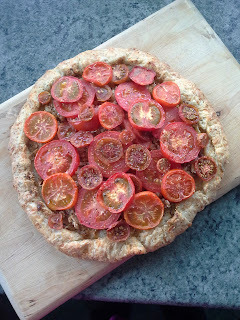 : Roasted Tomato Tart with Two Cheese Crust. Roasted Tomato Tart with Two Cheese Crust. 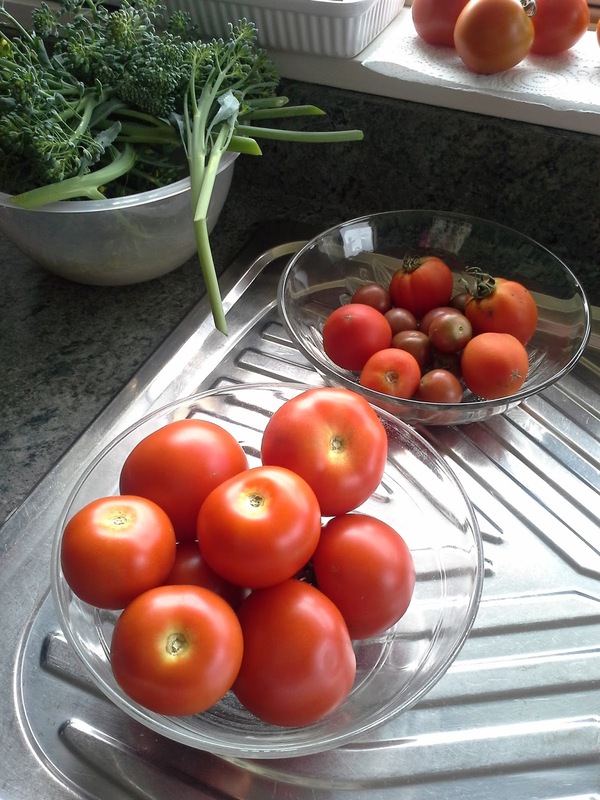 Here's one for the tomato growers. Of course we didn't grow our own Toms then, but it still tasted good. the more colours and sizes, the prettier it will look. Add the flour, butter and two cheeses to a food processor. Pulse a few times to break up the butter and cheese. Drizzle the water in a little at a time, pulsing between each drizzle. Until it comes together in a rough ball. Wrap in film and refrigerate for an hour. In a pan over a low heat, melt the butter and the oil. Gently fry the onions until soft. Stir in the sugar and herbs. Turn up the heat and cook for a few more mins until golden and sticky. Dust a baking sheet then roll your pastry into a rough circle about 0.5 cm thick. 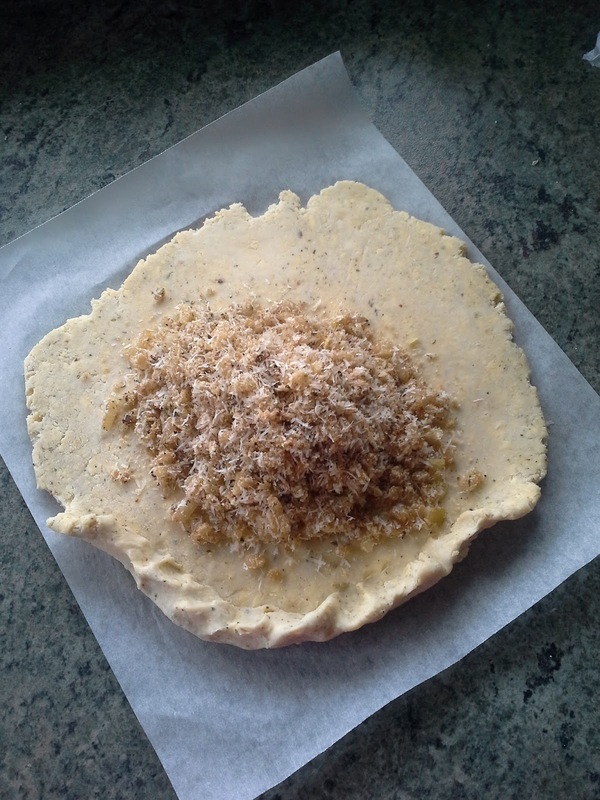 Mix the cooled onions with the breadcrumbs and Parmesan and spread over the middle of the pastry, leaving about a 5 cm border. Hand roll the pastry edges toward the filling, pressing firmly to hold and make a decorative thumb print edge. Scatter over some thyme, a pinch of sugar if you desire and plenty of seasoning. 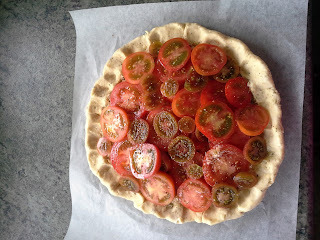 Drizzle with a little olive oil and bake for 25 – 35 mins or until the pastry is crisp and golden. Serve warm or at room temp, with a BIG green salad. Sometimes I just use dried Italian herbs instead of the thyme and sage. I usually omit the sugar from the onion filling, but will sprinkle a pinch or two just before baking. Oooh! I wonder if I could add crushed garlic to the onion mixture. If you try it, I'm sure you'll enjoy it. 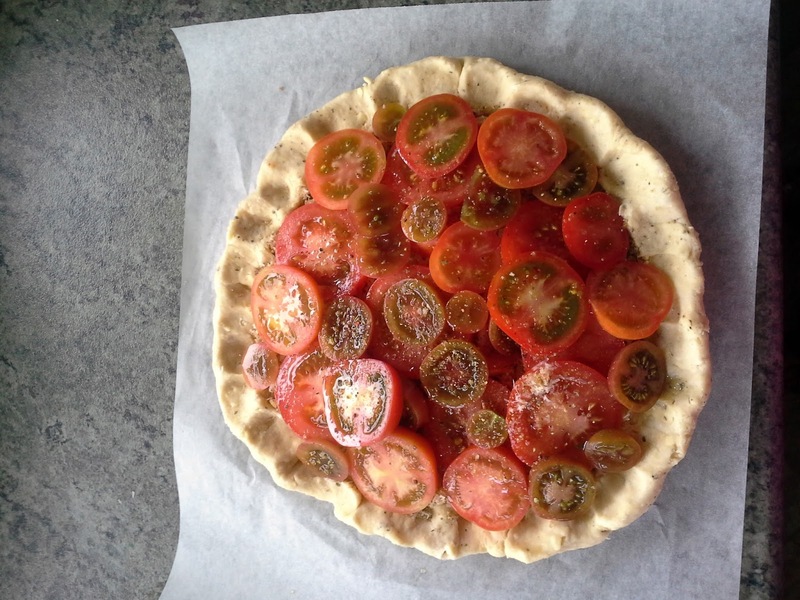 Hi Loulee thankyou so much for sharing this recipe,i am going to give it a try,hope you have a lovely day. A UFO and a new beginning.